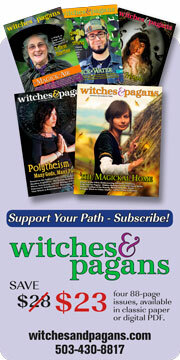 Pagan at War - PaganSquare - Join the conversation! Hundreds, even thousands of Pagan men and women are serving in warzones around the world. This is the story of one of them. War is in our blood. As Pagans, citizens, and human beings, our inheritance is war. None of our Pagan forebears — not the Greeks, the Norse, the Vedics or Lakota; not Romans, Egyptians, Babylonians and especially not the Celts — had pacifist cultures. Still, the catastrophic effects of post-industrial warfare force us to confront War’s allure. When life on earth can be ended within days, we need new tools for old disputes. Still, we need soldiers, too. It’d be great if everyone just got along but the brutal fact is, we don’t. Occasionally, even the most peaceful cultures require warriors. Army Specialist Duncan Brennan is a warrior. An American. And a Pagan. As a soldier of the United States Army, Duncan is a Pagan warrior for an Evangelical Christian administration fighting militant Islamists. While many of his fellow Pagans dispute the validity of a Pagan soldier in the modern military1, Duncan puts on a uniform, picks up weapons, and goes into harm’s way. Why?